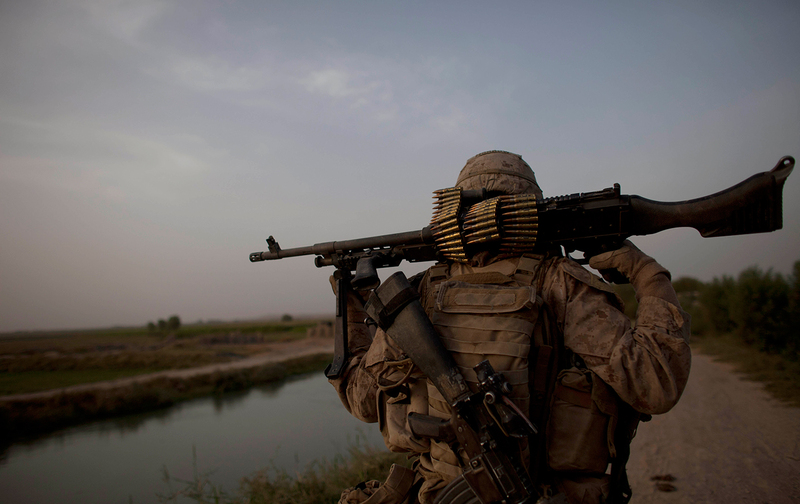 The military has no strategy for victory, merely a plan to avoid defeat. Gen. John W. Nicholson testified that he wants an additional 5,000 soldiers to break the “stalemate” in Afghanistan. In the first months of his presidency, Obama signed off on a surge that ended with 100,000 US soldiers in Afghanistan. His generals also promised to break the stalemate. Today, the Taliban controls more of the country than it has since 2001. A surge of 5,000 or even 10,000 troops won’t defeat the Taliban. It is simply a recipe for more war without end and without victory. Why are we still there? We went into Afghanistan after 9/11 to get Osama bin Laden and to punish the Taliban for harboring Al Qaeda. Now bin Laden is dead; Al Qaeda is dispersed; the Taliban has been battered. Afghan civilians have been killed, wounded, or displaced in increasing numbers. The United Nations reports that there were more than 11,000 war-related civilian casualties last year, and 660,000 Afghans were displaced, adding to the country’s massive refugee crisis.